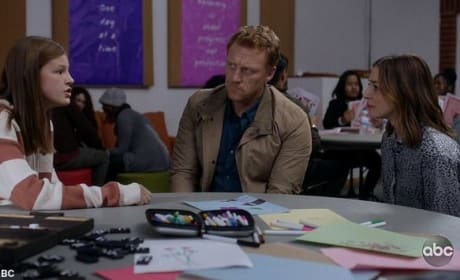 Owen and Amelia visit Not Betty at rehab on Grey's Anatomy Season 15 Episode 12. Tired of waiting on Meredith, DeLuca makes a big move and grand gesture, and it's enough to make Meredith given in. Nico and Levi are still strong and happy as ever making them one of the most blissful couples at the hospital at the moment. Tom and Teddy continue to get closer, as Tom knows exactly what the mom to be needs and how to make her happy. 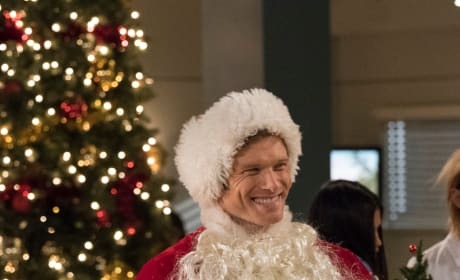 Owen gives Amelia flowers to apologize for something awful that he said on Valentine's Day, and the couple seem to be going strong. 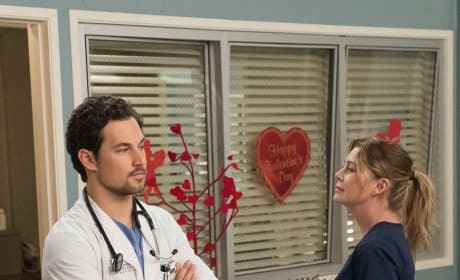 Deluca and Meredith steal a kiss after a long, grueling case that led to the loss of their patient, and it's on Valentine's Day too! Alex and Jo are in marital bliss. The newlyweds are the ultimate couple goals these days, and they are so happy it's rather infectious. 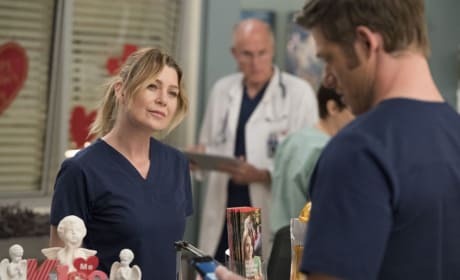 DeLuca and Meredith have been playing a game of cat and mouse, but how long can it go on without one of them being annoyed or hurt by it? Meredith is having a great season. She's embracing that carefree attitude and opening herself up to love in any form that it comes. 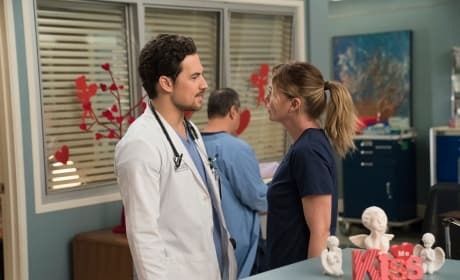 It doesn't matter the time nor the place, DeLuca is all for making a move on Meredith, and he's determined to get that date once and for all. Link make be a smooth talker, but he has a heart of gold. He spends his Christmas dressed up as Santa and passing out gifts to the kids in the cancer wing. The guy is a catch. 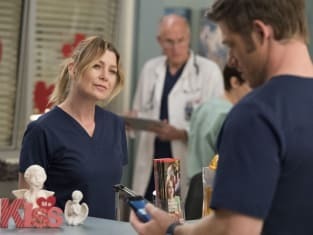 Meredith gains some clarity on her dating life on Grey's Anatomy. 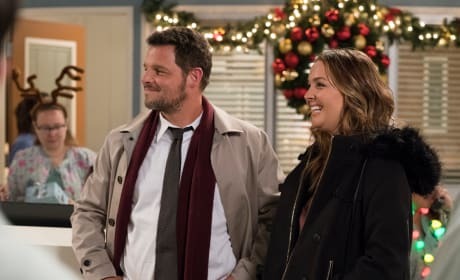 "Girlfriend in a Coma" is 11th episode of the show's 15th season. Kiss the one who turns back time for you. Permalink: Kiss the one who turns back time for you. DeLuca: Why do you keep stringing him along? DeLuca: You heard me. Link. He likes you. You keep giving him false hope. Meredith: Who says it's false? Permalink: Who says it's false? 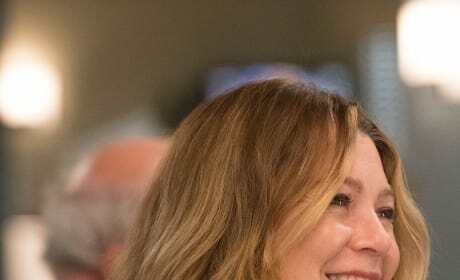 Grey's Anatomy Round Table: Find Someone Who'll Build You A Treehouse!